If you followed along on #LitterWatch2017 last year, you’ll have seen that the tagline used was “Litter doesn’t just disappear”. There is of course an exception to that: snow. 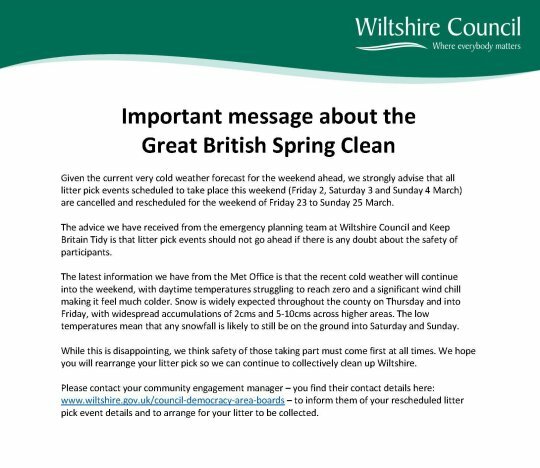 With the current ground covering hiding the litter and the forecast showing rain and snow on Saturday, we are following the advice of Keep Britain Tidy and Wiltshire Council to re-schedule the clean up for 24th March. 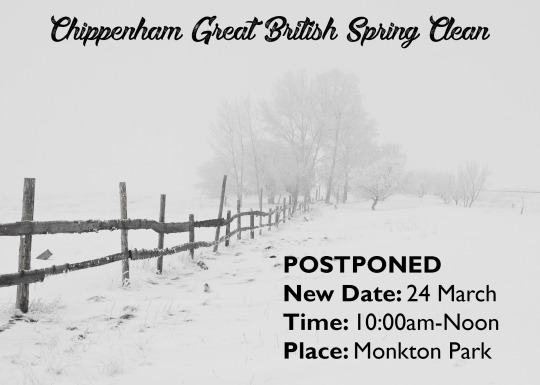 The time (10:00am-noon) and location (Monkton Park) will stay the same. Sorry for any disappointment this causes, but I hope you’ll be able to make the new date.